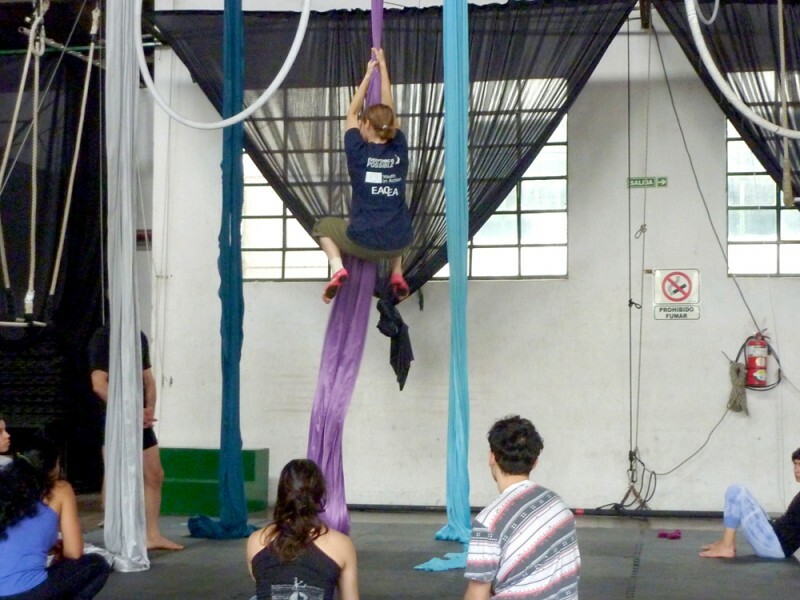 I wanted to participate in the project to learn more about how other schools develop their student and teacher training. 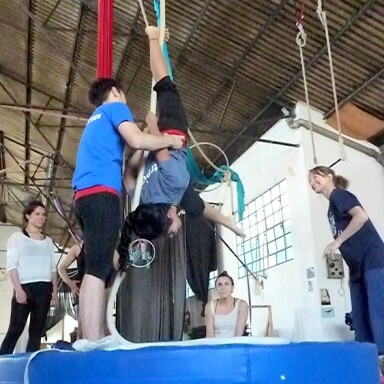 Buenos Aires has many circus schools and is a leader in social circus training. 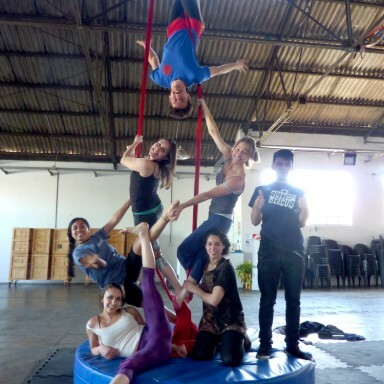 I am a full time Circus Trainer in London for 3 organisations and have different roles in each of them. 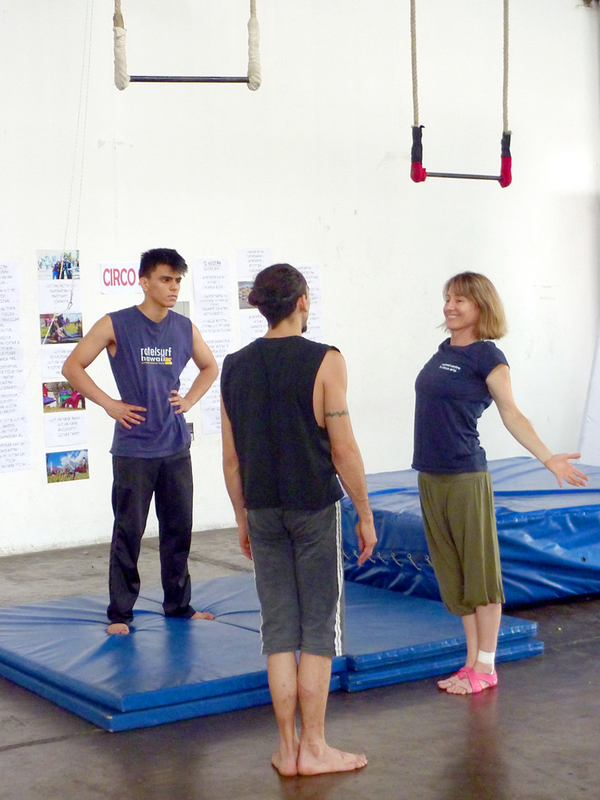 For the Roundhouse (under their umbrella organisation National Centre of Circus Arts) , an Arts Venue, I am the advanced group, The Street Circus Collectives’ training mentor. 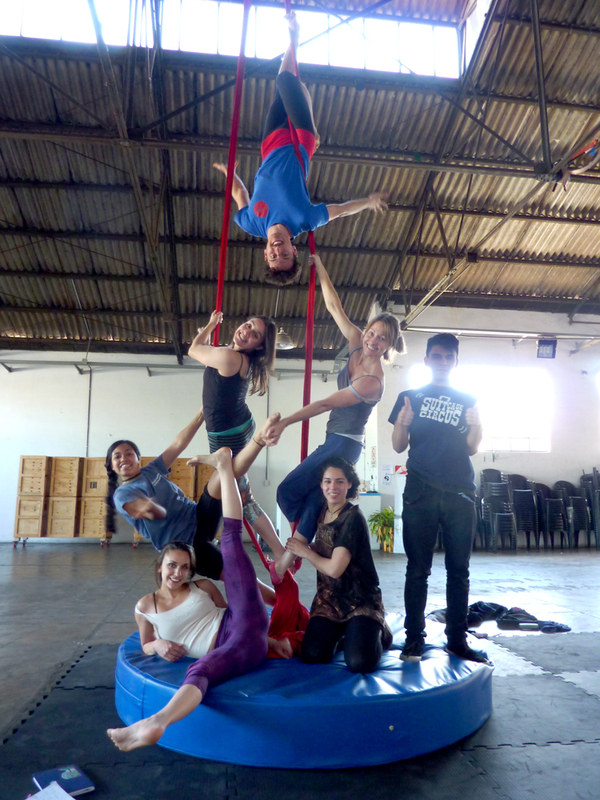 I coordinate the structure and substance of their circus training. 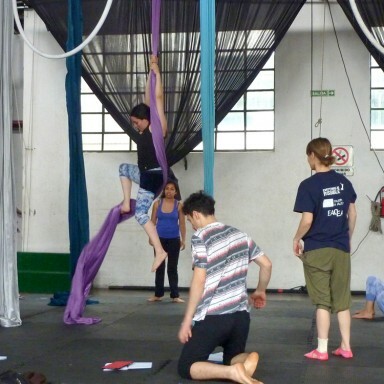 It is a small, new program within a bigger arts venue. 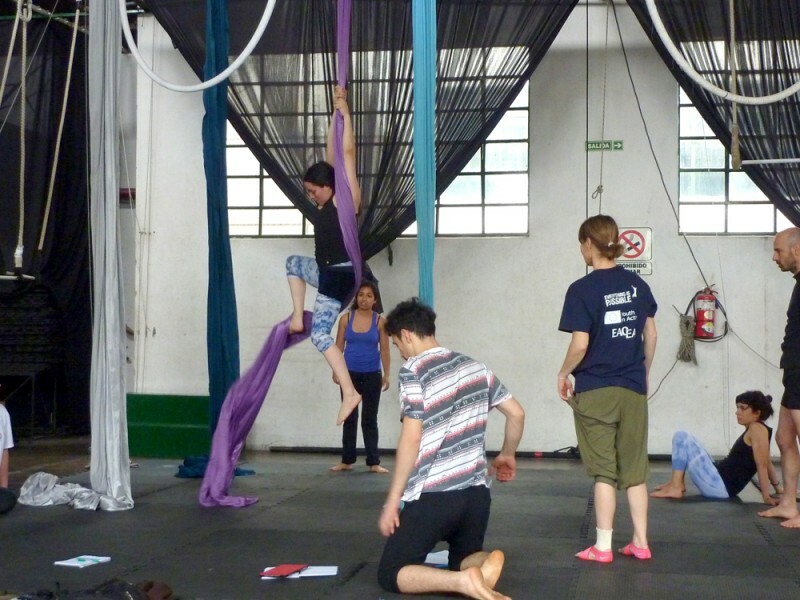 At the National Centre for Circus (NCCA), I am a degree year manager. I work in a team delivering, teaching, and coordinating the training and development of the students on the 3-year degree program. 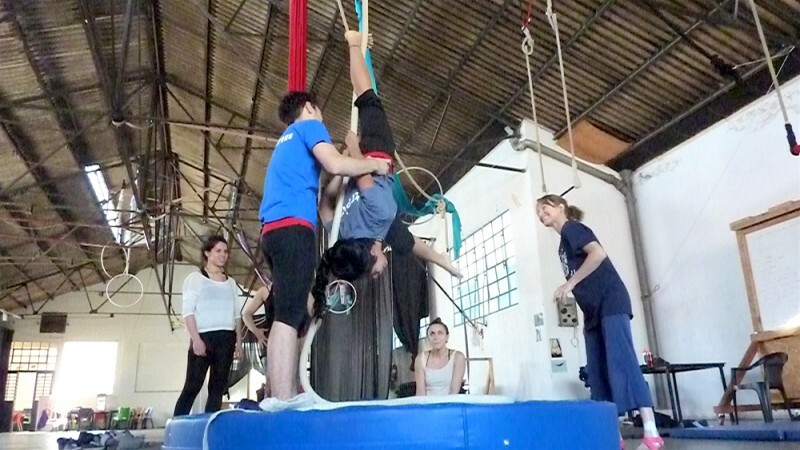 I am also involved in the development of a circus teacher-training program there. 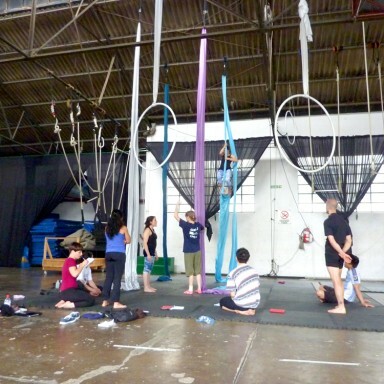 I am a founding director and teacher of the partnership, Aerial Days’ aerial classes in North London. 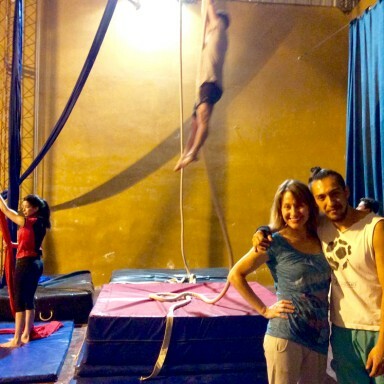 For this project, I organised to visit mainly with Circo Social del Sur in Buenos Aires (CSdS), they had organised a schedule for me at their school and as I learnt more I went to visit as much as I could of Circus in BA. Led a session with students on a 1-year course, who would be graduating from the following week. Saw the end of year performances of the numerous community groups over both weekends I was there. 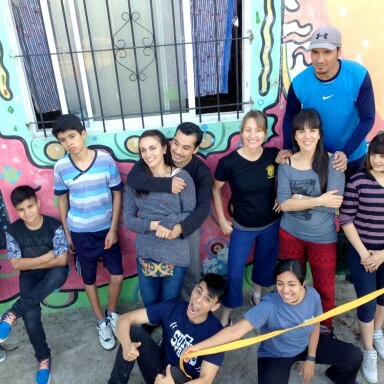 Observed and was welcomed into one of the communities where Circo Social del Sur first started their social circus program, Villa 24. 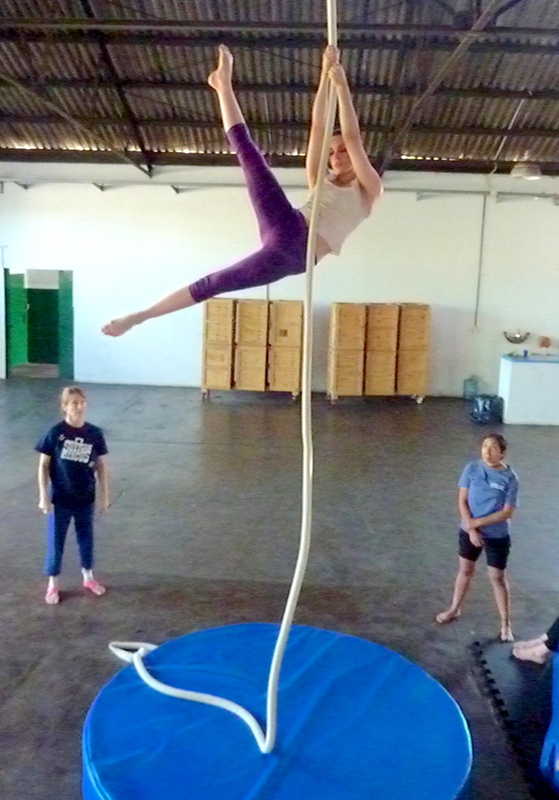 Visited UNSAM, the University in San Marten, to find out about their circus degree program and make an introduction for the Director of the school with the Director of NCCA. Saw 2 professional physical theatre shows. 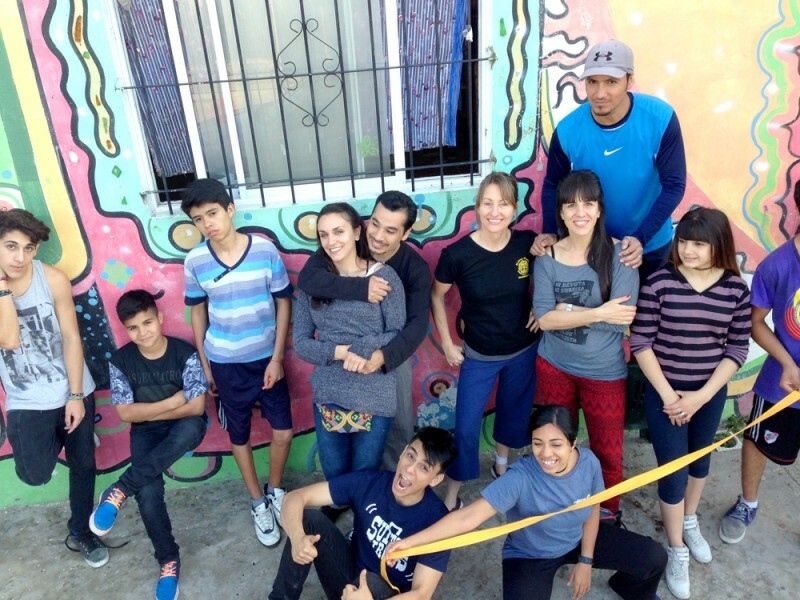 Visited a recreational school in the outskirts of Buenos Aires at the invitation of the teachers there. Gave a talk to the teachers, staff and students of the CSdS about the Roundhouse and NCCA. 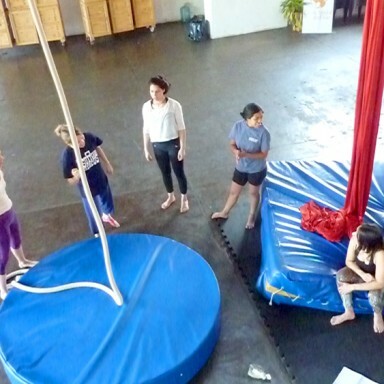 Had conversations about circus with aspiring professionals, teachers, riggers and administrators. I arranged my own accommodation and food. It was surprisingly more expensive than I planned for. CSdS had suggested suitable places to stay and always offered assistance if I needed it. They couldn’t help with my biggest hurdle, which was lack of fluency in Spanish! 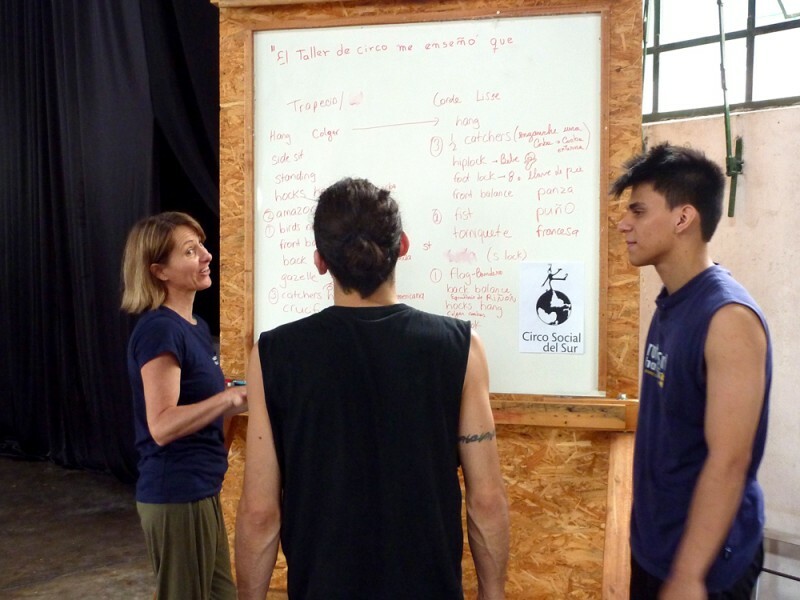 Whilst I had been learning Spanish for many months prior to going, I could not communicate for days after arrival. I was only able to understand about every 5th word. I got a vague idea of the conversation but often not the important thing that I needed. 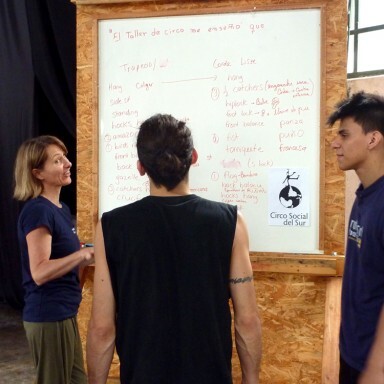 For example this was said in Spanish – “Come and meet this teacher and share his class”. This actually meant that I should teach the class, which I found out the next day when an English speaker translated it for me. The cultural shock of getting around, eating, changing money, trying to understand what was happening and the long flight were exhausting for the first few days. 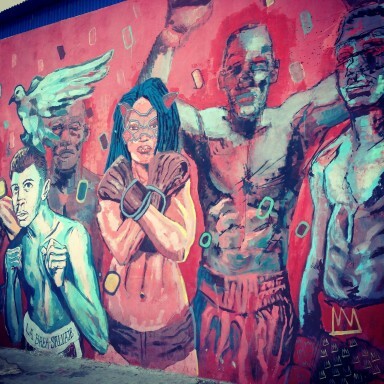 Few people spoke English, which I wouldn’t have minded, if I had gone to experience the culture and just observe things. But being there to gather and give information, I felt the pressure to communicate. 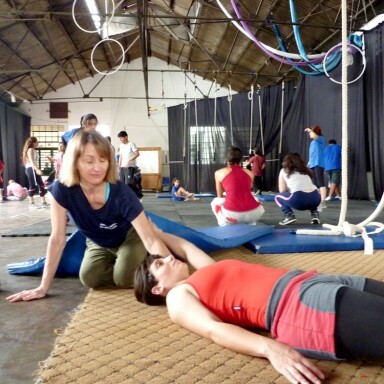 It was fine with the classes I taught, as those words and phrases I repeated over and over and I could show physically what I wanted students to do if I got stuck. We used Google translate when we were in venues that had internet, otherwise it was ‘espanglish’ and hope for the best. In hindsight an excellent level of fluency in Spanish was needed or having a full time interpreter. Those who spoke English translated for me whenever they could. Professionally, I learned a few things. 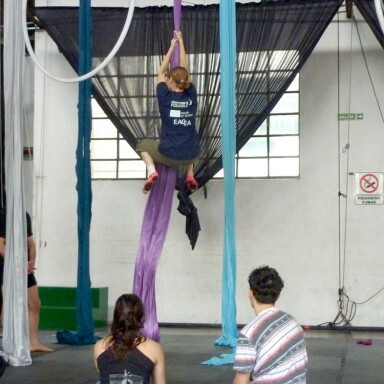 Firstly that the social circus programme we are running at the Roundhouse has the right idea but is just moving too fast and needs more grass roots work to make an impact. 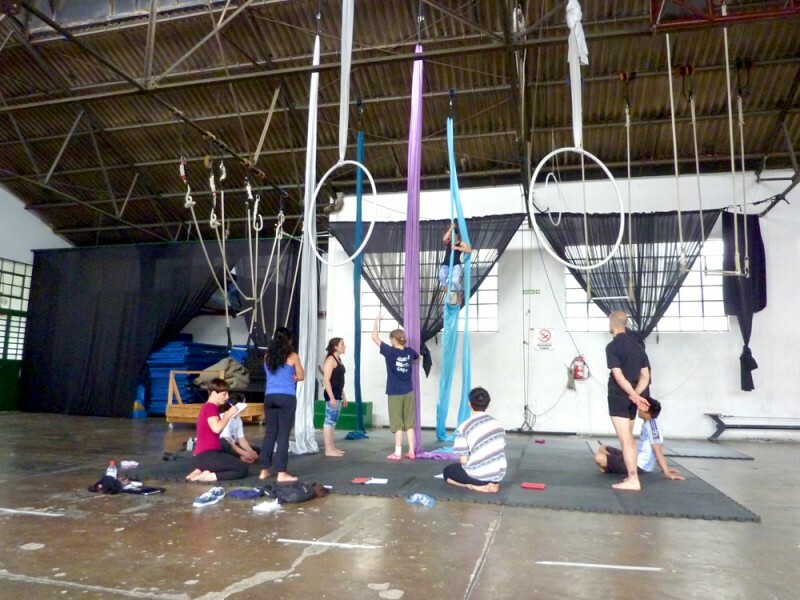 Secondly, I had planned a session for a group around the fundamental principles of teaching aerial skills. (A project we are developing at NCCA.) The principles are good but due to my lack of good Spanish skills, I couldn’t communicate the ideas, even though I had prepared and practiced the Spanish for it. Generally I need to be simpler, clearer and more solid with my teaching principles. 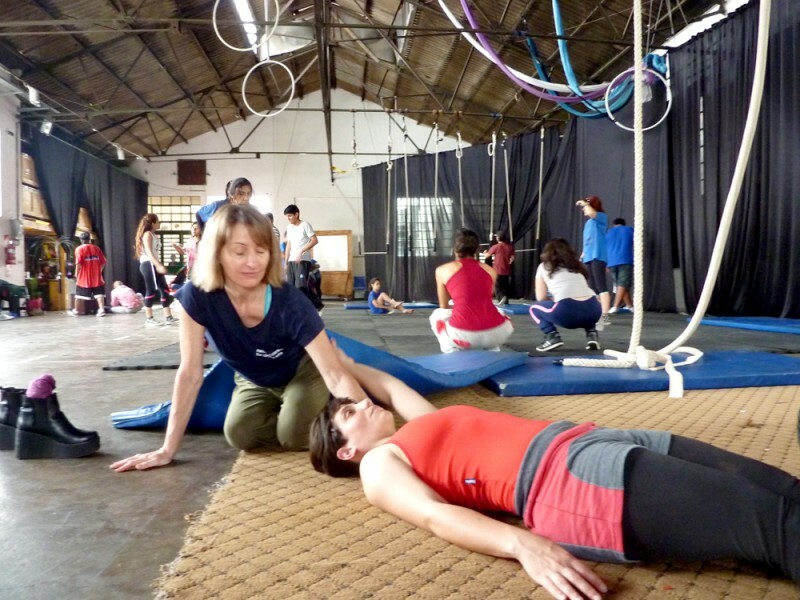 Watching the lovely energy of the CSdS teachers, I realised good teachers for social circus have empathy, understanding, and kindness in all parts of their lives. 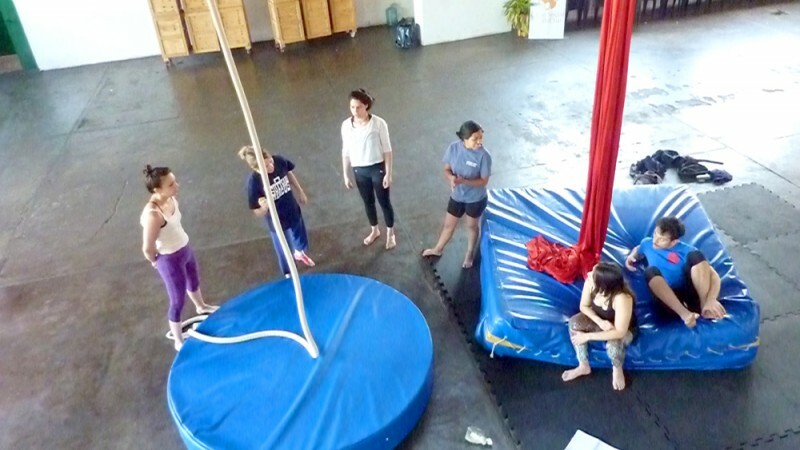 The good teachers there are capable of empowering students to want to learn circus or to want to learn and grow as human beings. 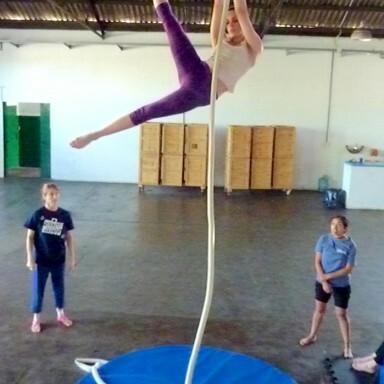 Personally I learned how lucky we are in Europe to be able to have a successful career as a circus artist. I would recommend the project but to research and work out the finer details before going or you may miss so many opportunities. 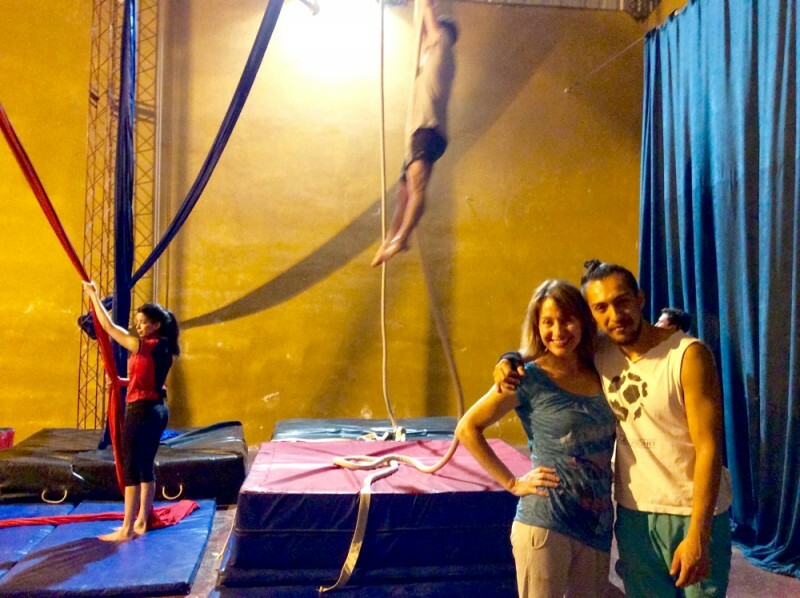 Thanks to the Erasmus project I am more determined to help those who don’t have the chances I had to be a circus artist and to be really clear in the work I am doing.